Three Pitt students fought off three assailants in January, striking back when one suspect pointed a gun at them. The three students thwarted the men by tackling them to the ground, and left uninjured — although slightly rattled — after the event. Although clocking in at 100 words total, this brief about a Pitt student who fell or jumped out of a seventh floor window at Sutherland Jan. 28 was our fourth most-viewed article of this year. The Pitt News initially reported on the death of Pitt student Alina Sheykhet, a 20-year-old woman, Oct. 8. In the days following, we remembered her life and reported on new developments in the story and changes made in her name. Jason Peters, former head coach of Pitt’s wrestling team, was released without clear explanation Jan. 19. As The Pitt News reported, Peters was released after an incident in Evanston, Illinois, where police responded to a call from the Hilton Garden Inn where the team was staying for a match. Three women ordered off of Backpage.com were suspected of stealing $100 during the event. Three wrestlers were suspended indefinitely. This photo from the Pitt Program Council Annual Bonfire and Pep Rally captured the raucous school spirit that happens at the beginning of every football season. This snapshot, from the Penguin’s Stanley Cup victory parade on June 14, featured Penguins team captain raising the Stanley Cup over his head after back-to-back cup wins for the team, who beat the Nashville Predators 4-2 in the series. Although totality lasted for two minutes, three Pitt News staffers traveled 20 hours total from the Steel City to Springfield, Tennessee to view the eclipse. The last time the contiguous U.S. saw a total eclipse was in 1979, with the next occuring in 2024. Steelers wide receiver JuJu Smith-Schuster and running back James Conner, a former Panther, traded their Steelers uniforms for civilian clothes to watch Pitt lose 34-31 against UNC in the Panther Pit. This photo documenting 200 Pitt students counter protesting an anti-LGBTQ+ rally was our most-liked photo of the year, capturing the spirit of revolution seen in the United States in the wake of Donald Trump’s appointment as president. Although this isn’t a single story, our overall coverage of graduate students’ efforts to start a union at Pitt is what I’ve enjoyed the most this year. We kicked off the year by writing about the organizing committee’s decision to begin collecting union cards in February 2017. We then went on to report on Pitt Provost Patricia Beeson coming out against a graduate student union in July, the Committee’s march into Chancellor Gallagher’s office with letters of political support for the union effort in September, and a grad student rally — attended by many union supporters — against the GOP tax bill in November, among other events and developments. The year closed out with the news in December that union organizers have officially filed for an election. I’ve enjoyed being able to read about and report on graduate students’ efforts to form a union as they have happened throughout the past year — and I’m interested in seeing what developments will occur in 2018. The story of Jason Peters’ firing, with all its twists and turns, is one of the best stories of 2017. 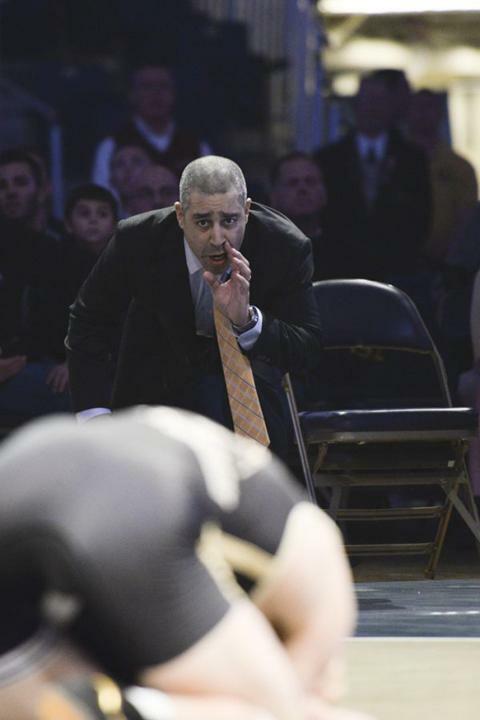 Peters was dismissed from his position as head wrestling coach mid-January of 2017 after an incident that occured in Evanston, Illinois, while the team was staying there for a match. This story has everything, from police involvement to a crew of girls from backpage.com, and reads more like an episode of “Law and Order: SVU” than a story about a wrestling coach getting fired. Jokes aside, the reporting on this story was phenomenal. Our sports editor at the time, Steve, got very little—if any—sleep while working on the ever-developing scoop in this dramatic saga. We all adore the Cathedral as Pitt students, but writing about her has the potential to be as dry and stiff as her stone construction. “Alumni reflect on Cathedral’s youth,” however, took a fresh approach to the subject, examining Cathy’s early days through the eyes of two 99-year-old former students, Edward Murphy and McDonald Williams. Murphy and Williams, both Pittsburgh natives, witnessed the Cathedral of Learning’s construction as children and walked its halls as young Pitt students after it opened in 1937. Williams, one of seven African-American students in his graduating class at Pitt, and Murphy, who earned his undergraduate and business degrees at the University, gave readers a glimpse into the life of our beloved academic building. With the new year, I hope we have a chance to revisit Murphy and Williams and learn a bit more about their own lives. After piling into a small car with four other Pitt News reporters, driving four hours to Washington, D.C., and walking about five miles to try to enter the National Mall, I watched Donald Trump take the oath of office on a phone screen at a metro station. Though I didn’t see the inauguration in person, being in D.C. that weekend felt like witnessing history. On the day of Trump’s inauguration, we covered protests featuring flaming newsstands and flying bricks. The next day, we watched one of the largest protests in American history as the Women’s March peacefully took over the capital. The rest of our staff documented the Women’s March and Inauguration in Pittsburgh. In all, more than a dozen of our staff contributed to our coverage those two days. One of the biggest projects The Pitt News takes on each year is our Silhouettes edition, consisting of 25 profiles on some of Oakland’s most interesting community members. This year was no exception— in addition to putting out our newspaper edition, we also put out a magazine for the first time. One of my favorites from this year’s installment was about the jovial Holland Hall security guard who spends his shifts trying to crack a smile from the underclassmen residents who pass by his booth. While most who talk to him might only know of his humorous wit, after delving into his life stories, you discover he has all the heart found in a top-selling memoir or blockbuster movie. Janine did a tremendous job telling his tale, but it also goes to show that the people you pass in Oakland everyday might have a story worth knowing.